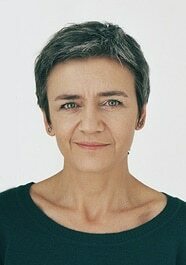 The analysis of the arguments given by the European Commissioner for Competition, Margrethe Vestager, on the “abuse” by Google’s search engine of its dominant position in relation to its “comparison shopping” service, is cause for concern, and great concern, for that matter. We’re talking about an unprecedented fine of such an amount that it would require solid arguments and a certain mastery of the digital medium. There is no evidence of either one. What the Commission’s decision actually shows is that we are faced with a Europe that has a hard time understanding the world of the digital economy and that, instead of focusing on building a solid and ambitious digital strategy that may be worthy of such a name, it is fixated on enabling an opportunistic and sterile “anti-technological-giants” crusade. First and foremost let me express my respect for any digital project and the legitimate defense of its interests, but if Europe’s digital future (as highlighted by the Commission’s revelations and the amount of the fine) lies in developing “price comparison sites”, the future looks bleak. We were a “price comparison” service once. Quite a few years ago, we developed at IT&IS a price comparison tool for products sold in supermarkets. To achieve this, we “hacked” –I use the actual jargon on purpose – (i.e., we indexed, we collected Google-style) prices “owned” by the stores. At no time did we think the project’s viability depended on Google. And it never occurred to us that it was not legitimate for Google to “collect” and offer that same information (compare prices) in the way that was most useful for its users. Both Google and the “price comparison sites” are using information from third parties. This should be made clear. We always thought that if Google were ever to offer this kind of price comparison, the product stores (the owners of the price information) would be much happier than if we were the ones that offered it. We were certain that the only possibility for surviving was to offer additional services of real value to the user, far beyond a simple price comparison: apps, features, shopping lists, services, etc. In my mind, it would have seemed Kafkaesque to require Google to provide advantages to our visibility in its search engine over actual visibility to the owners of the goods (supermarkets or owners who rightfully deserved this visibility much more). And why are price comparison sites in Europe relevant? Europe’s digital problems is that, in a fragmented market, instead of developing “unicorns” or start-ups with capacity to grow globally and with services that represent a great value for the user, we’ve generated marginal companies whose only viability is centered around “Google’s positioning”. Some even engage in vulture-like practices, with dirty fights among themselves. For example, there are those who practice negative SEO, or encourage parallel practices in social networks to negatively affect the corresponding algorithms. The European Commission should be concerned about having a fabric of European digital companies that only aim to live off Google’s “crumbs” and whose value proposition for the user is so irrelevant that they don’t seek to consolidate “direct traffic” and exist in their own right. In the subject at hand, what the Commission should be worrying about is why, at this stage in the development of online commerce, there is still no European Amazon or Alibaba. Any company that has followed Google in recent years knows that their searches have developed an exponential innovation around personalization, big data and Artificial Intelligence. Searches and their algorithms are currently very complex, dynamic and are increasingly more individualized. Surviving on positioning, or long tail or SEO is becoming more and more difficult, if not outright impossible. It makes no sense as a medium-term strategy. This immersion in exponential innovation forces us to reinvent ourselves permanently. And this includes “price comparison sites”. The Directorate General for Competition has not understood that Google’s ads do not link to Google’s price comparison service (as reflected in its claim) but go directly to advertisers’ websites, taking users to sites where they can buy what they are looking for. Therefore, it destroys one of the assumptions for the “favoring”. And it forgets about the importance of the service received by advertisers, as European as the “price comparison sites”. A fine based on an abuse of Competition would require the Directorate General for Competition to clearly identify the “damage”. Not only does it seem to have doubts and important conceptual errors in this regard, but its arguments also show significant confusion. For example, it’s unable to see that the decline of these sites that exclusively “compare prices” is more directly related to the rapid growth of sites such as Amazon or eBay, which not only offer consumers the ability to compare prices (products from various merchants, good customer service, fast purchases and deliveries, returns…). There is empirical proof difficult to refute: Google and its price comparisons are already irrelevant in countries where Amazon has a local page. It is striking to see that the Commission has not taken into account the mobile factor when analyzing the decline of price comparison sites. More than 80% of Europe’s digital traffic is generated through a mobile device. A large part of the decline comes from the weakness of European price comparison sites, small companies unable to adapt their services to the mobile technology. The survival of some of these price comparison sites in Europe, such as Idealo, has a lot to do with their initiative to compete with eBay and Amazon. In this case, Idealo chose to invest and adapt itself. The Commission’s criteria as to the legality of the issues are absolutely confusing and arbitrary. Not satisfied with this, its tries to tell the search engine how to organize its organic results. There is not even an inkling of having considered the users’ interests who, by the way, should be essential elements in the case. For the Commission, direct traffic, or leads or apps in the mobile ecosystem are irrelevant. Its analysis is anchored in the “Jurassic era” of the Google search ecosystem. And lastly, the Commission gets into the twist of setting a price for advertising space on a site at the rate of 1 cent of a euro (chosen “a la carte” by aggregators / price comparison sites). This, in addition to opening the door to the most absolute arbitrariness, leads the way within the digital world to ancient practices of economic protectionism discarded in Europe more than 30 years ago. Perhaps in the most “Hemingwayan” sense, the bells toll for the European Commission itself, due to its inability to foster a digital ecosystem that may compete with Asia and the United States. Not allowing open competition for European companies in a single digital market, currently fragmented within a digital world of a global nature. Insisting on promoting obsolete regulations in each country or even at a local level, in relation to dozens of issues, including the regulation of digital services and the well-known regulations and fines around intellectual property or privacy, in addition to the necessary regulatory flexibility and digital efficiency of public administrations in each of the countries. For not generating a European digital innovation ecosystem that is worthy of this name at an international level. Some things are being done in London (Brexit), Berlin, Helsinki or Dublin… but no world reference space has been developed. All this leads to a Europe on the defensive. Its strategy does not consist on promoting digital companies so that they may become world leaders. On the defensive, with absurd criteria, it will create a social and media environment of “everyone against Google, Apple, Microsoft, Uber, Airbnb…” In short, a myopic and sterile protectionism due to the inability of generating its own relevant digital ecosystem of global scope. Undoubtedly, Google does things wrongly and there are significant differences between the Google of the mid-nineties whose corporate motto was “don’t be evil“ and today’s corporate giant subjected to the pressure of stock markets. But far from identifying them properly, Commissioner Vestager is correct only when she says: “Google has developed many innovative products and services that have changed our lives”. And, well, despite this, we are going to fine them a historic amount, I add. 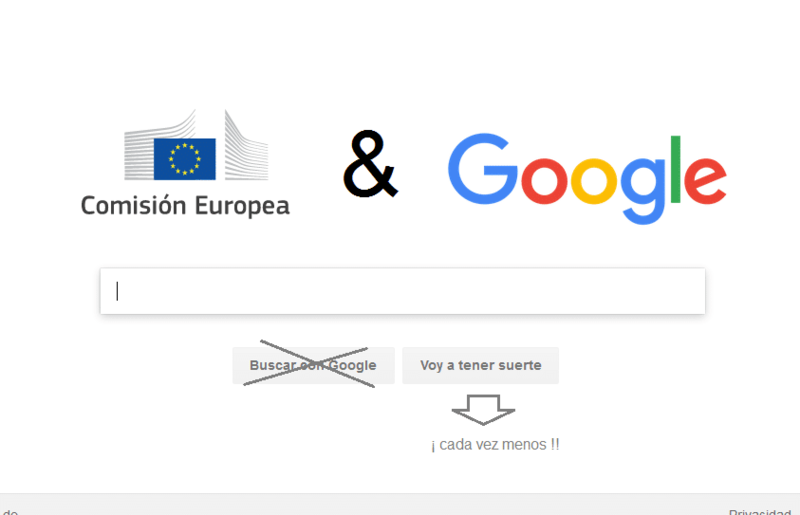 Europe is outdated if it still sees the “positioning” Google. I already warned about the decadence of this approach two years ago. See: Three ecosystems (Google, Apple and Facebook). The European digital industry should see a Google or an Alphabet that is still the technological leader in a multitude of strategic fields: artificial intelligence / machine learning (automatic driving, image recognition, analytics, personalization, etc.) or quantum computing. In recent years it has provided more help to companies for their digital transformation or to the young for their employability (MOOCs such as Unimooc, Google Actívate…) than the European Union itself. In addition to an enormous amount of free services of great value for users around which it has set up its business model. The problem for our startups is that when it comes to exploiting those valuable Google products like Adsense / Adwords, Android or the api.ia we face an adverse European framework for digital life, with absurd regulations and without an ecosystem. In fact, users are even affected by “bright” legal ideas such as the useless warnings of cookies that flood their mobile phone screens. Europe doesn’t realize that if there are technologies that allow you to be more competitive and you don’t adopt them, other places will (mainly Asia and the United States). This, in fact, is already the case; the type of fine we are discussing comes to show that we are an economy that depends a lot on the digital world. To start with, something very simple: I am absolutely certain that the websites that reported the case to the European Commission would not get any significant benefit. If Google were to be forced back to a previous version of its ads, the only thing we would notice is the relevance of the residual factor for the Commission (Amazon, the mobile phone, the ecosystem app, the acquisition of leads, the belligerence of social networks, direct traffic…). European users will notice it. Another decaffeinated version of Google for Europe. This also happened with Google News in Spain, and none of it had any relevance for the press. It will be negative for European industry or trade that does sell products, through less efficient ads, in competition with other parts of the world. Have we been able to quantify this damage? Google’s investments in Europe will probably decrease. We are talking about an unprecedented fine amount, pulled out of a hat by the Commission and against a company that, for the purposes of the stock market, will have to recompose its profit and loss account. And what’s more, it will probably not just delay something that cannot be delayed: the creation and development in Europe of a large Amazon-like platform, but the users of these “price comparison sites” will continue to migrate to eBay and Amazon. Because, in fact, the root of the problem is not addressed. In summary, an arbitrary fine and without a clear legal basis that calls into question the basic digital knowledge of the Commission. Perhaps this has a lot to do with the fact that the most relevant European digital policy should not be dictated from the Competition Commissioner’s headquarters. It has neither the vision nor the understanding of the digital phenomenon. Hopefully both the Brexit and the arrival of leaders such as Emmanuel Macron in France will set the base to articulate a European digital policy worthy of such a name. The European Commission should create a Digital Economy Commissioner’s Office that focused on the development of the sector and the appropriate assimilation of the future disruptive innovations. And, while it’s at it, that prevents the accumulation of erroneous decisions that are being dragged on. Meanwhile, Commissioner Vestager should be aware that Europe is not in a position to further delay the development of the digital economy and she should devote her efforts to many relevant issues that are affecting it. The current path not only leads us nowhere, but also widens an already significant gap with respect to Asia and the United States.